Floating along without a care in the world. Such effortless beauty. No wonder Monet couldn’t stop painting them. 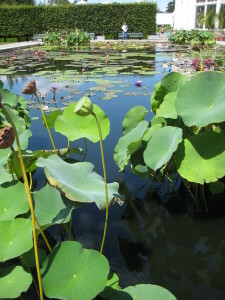 At the New York Botanical Garden, my favorite place is the the water lily pool. 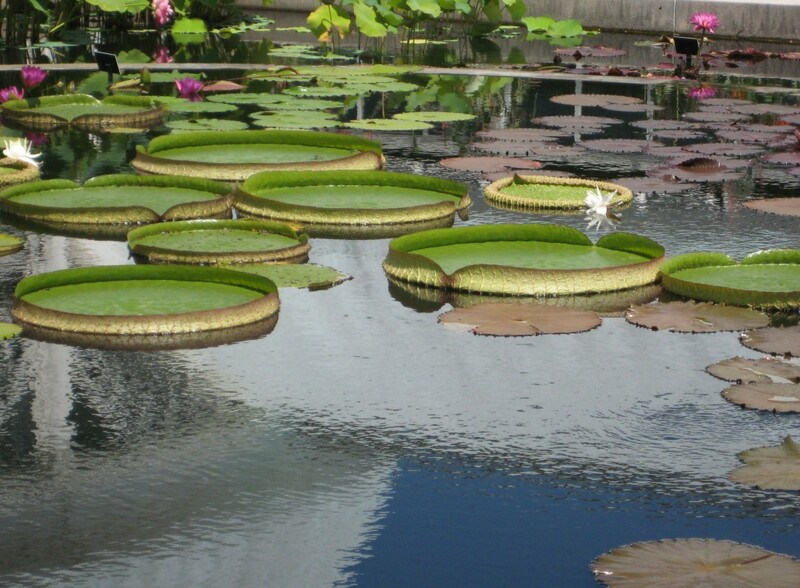 Its giant surface is covered with lily pads and fringed by tall lotus blossoms with leaves the size of bicycle tires. Reflections of the sky and the white conservatory buildings mingle with the lilies and the lotuses–it’s sort of a cross between between Paris and the Nile. The thing about a shallow, still pool like this is that you can’t see all the way to the bottom. Water lilies, under those lovely blossoms and floating leaves, have long, rubbery stems that link them to roots embedded in the muddy ooze at the bottom of the pond. They’re the most fascinating leaves in the plant kingdom, I think, sitting there so regally on the water. 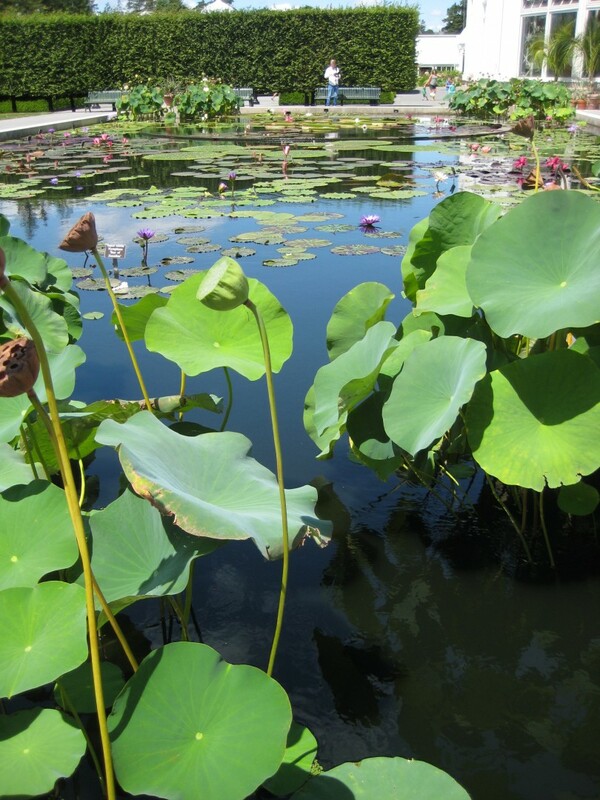 Water lilies and lotuses have always been deeply symbolic plants. I guess it’s the idea of so much beauty arising from the mud.